The Reebok Rapid Response 6 inch Side Zip Tactical boot for women provides you with the durability and comfort you deserve. This Reebok tactical boot contains a composite safety toe that is as strong as a traditional steel toe, so you feet stay safe at all times. This Reebok Ladies Boot is completely non metallic making it lightweight and airport friendly perfect for airport personnel. The removable Footforce insole in the 6-inch Reebok Rapid Response provides you with maximum comfort and the easy to use side zipper makes it quick and simple to get these tactical boots on and off. Perfect for police, paramedics, security, and more! 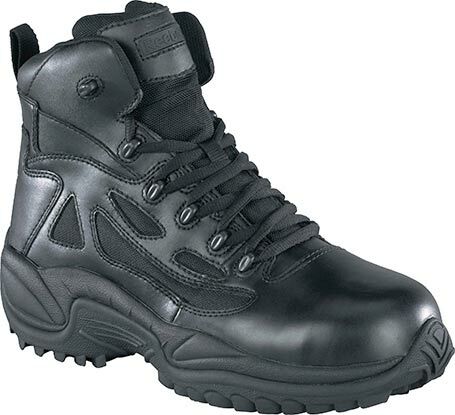 The Reebok RB864 Tactical boot features rugged full grain black leather and 1200 denier nylon uppers with high abrasion and slip-resistant, oil-resistant non-marking dual density outsoles. 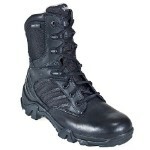 With supportive non-metallic shanks, dual-density ball and heel cushion, and Reebok Shock Eliminator technology, these Reebok tactical boots take the pounding, not your feet. These Reebok Rapid Response safety toe boots have a removable Footforce comfort insole that provides arch support and heel stabilization to keep leg and back pain at bay for hours. 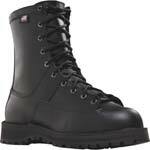 The non-metallic lacing hardware will not rust or corrode, goes through metal detectors, and allows rapid on and off. 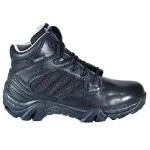 The womens black Rapid Response Reebok boots feature a side zipper for quick donning and a consistent fit. 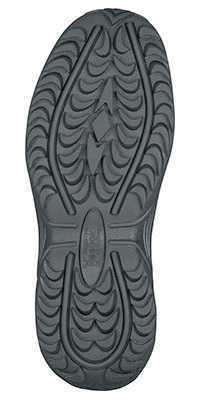 ANSI-rated composite safety toe provides the impact resistance and added foot safety as a steel toe boot without the weight. The Reebok RB864 Ladies uniform boot has the Authentic Reebok Athletic Fit giving you the very best in Comfort and Performance.